The European-spec 2019 Suzuki Jimny will be powered by the new 1.5-litre petrol engine, mated to either a 5-speed manual or 4-speed AT. Suzuki's Allgrip Pro AWD system is offered as standard. After releasing a set of official images of the 2019 Suzuki Jimny, the Japanese carmaker today fully unveiled the new-generation model of the small 4x4. 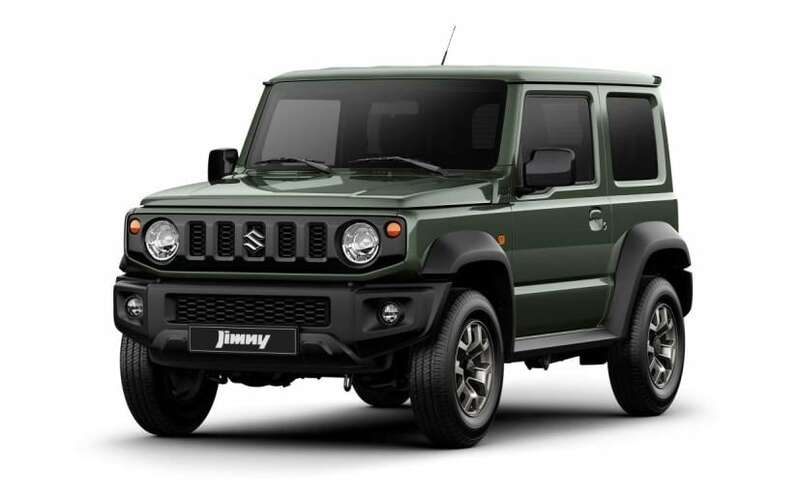 Suzuki has revealed the specifications for the European markets, where the Jimny will come powered by the new 1.5-litre K15B while transmission option will include a 5-speed manual gearbox and a 4-speed automatic torque converter. The 1,462 cc, 4-cylinder petrol engine makes over 100 bhp at 6000 rpm and develops a peak torque of 130 Nm at 4000 rpm. Suzuki's Allgrip Pro AWD system is offered as standard. 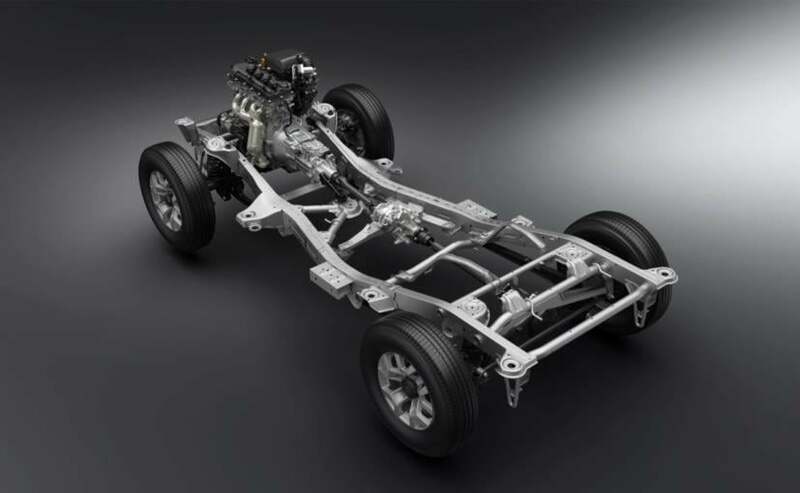 The all-wheel-drive system is essentially a part-time 4x4 system with a low-range transfer gear and three driving modes - 2H (2WD-high gear), 4H (4WD-high gear), and 4L (4WD-low gear), easily switchable by a shift lever directly connected to the transfer gear. The 2019 Suzuki Jimny continues to be built on ladder frame chassis, but to offers that modern driving dynamics and better off-road capabilities, the company has equipped it with additional suspension components for increased torsional rigidity. This setup offers an approach angle of 37 degrees, ramp break over angle of 28 degrees and departure angle of 49 degrees. Suzuki says that many design elements of the new Jimny were inherited from previous-gen models, creating a familiar yet distinct Jimny look. In fact, in our opinion, the new-gen Jimny is the most distinctive one yet, especially its new boxy design that reminds us of the Mercedes-Benz G-Wagen. The three-door SUV comes with the classic design element like the round headlamps, five-slot grille, gathered rear combination lamps, and heavy-duty bumpers. 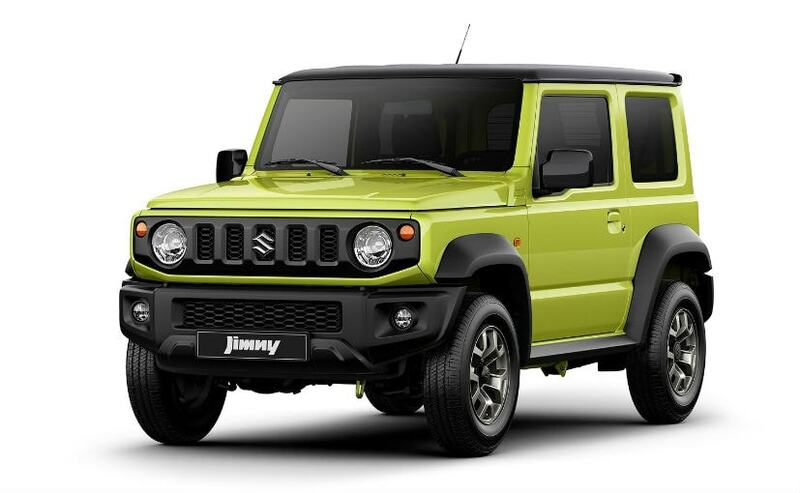 Suzuki offers the SUV in eight body colours, including two new colours developed exclusively for the all-new Jimny - a high-visibility Kinetic Yellow and a low-visibility Jungle Green. The cabin has received a modern touch and a lot of the new elements have been borrowed from Suzuki's new-gen models like the Swift and the Ignis hatchbacks. 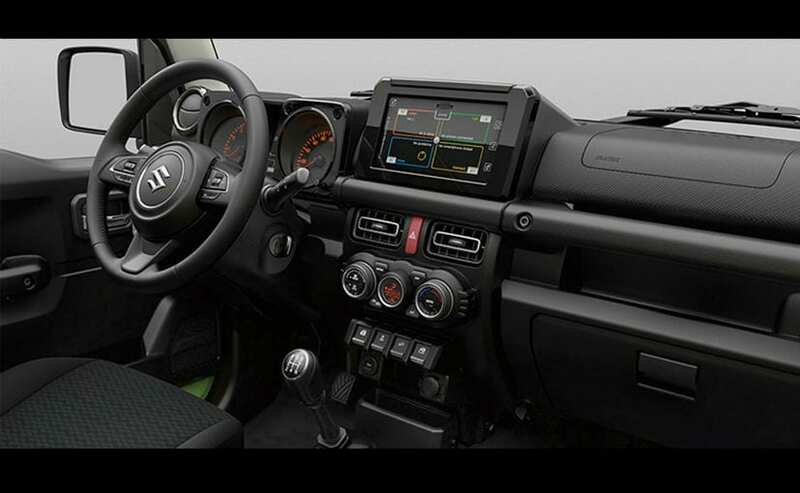 The Jimny gets handsome black interior accentuated by features like the touchscreen infotainment system, the cool-looking automatic climate control system, tactile buttons, and the multi-functional steering wheel. The SUV's safety package includes Dual Sensor Brake Support (DSBS), which in the event of an imminent collision, issues an audio and visual warning, increases braking force, or applies strong automatic brakes depending on the situation, in an effort to avoid the collision or reduce damage. Other safety features include Hill hold and descent control, 6 airbags, electronic stability programme (ESP), Tyre pressure monitoring system and more.